What Are the Benefits of Curry Powder? What Are the Benefits of Turmeric Tea? Chai tea, a classic Indian beverage, has been used for centuries. Made of a combination of black, green or oolong tea and a variety of herbs and spices, chai tea is recognized as a healthier alternative to coffee. The tea is rich in antioxidants, the spices may promote health and well being, and it is much lower in caffeine content than coffee. Cinnamon, a spice used in chai tea, offers numerous health benefits. It may reduce your blood pressure and lower fevers and body aches due to common cold and flu. Cinnamon may also relieve several digestive issues, such as indigestion, nausea, gas, and heartburn. According to Chai-tea.org, cinnamon helps increase circulation, reduce fatigue, and increase attentiveness and energy. It also help regulate blood sugar levels and may lower cholesterol levels. According to Chai-tea.org, cardamom benefits the kidneys, lungs and heart. It also contains mood stabilizer properties. Cardamom is used to aid digestive problems and stimulates metabolism. It also has anti-inflammatory properties that can reduce spasms in the muscles. Cardamom is beneficial for treating respiratory spasms from asthma. 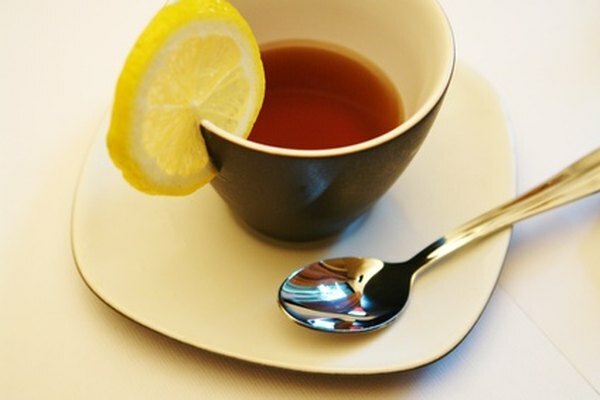 It may even be useful for fighting common colds and chills. Cloves, another ingredient in chai tea, have antiseptic properties that boost the immune system and help the body to fight infection. This spice also has been shown to soothe toothaches and combat bad breath. Additionally, cloves are may help treat or prevent digestive disorders, such as diarrhea. Ginger, often used in chai tea, may help treat indigestion, diarrhea, heart disease and arthritis. It also contains properties that may lower the risk of colon cancer. Ginger may improve the circulatory and immune systems. It also acts as a potentially effective treatment for motion sickness and impotence. Ginger chai tea has warming properties that aid in fighting colds and flu. Some chai tea contains nutmeg, a spice that may help your body digest heavy foods and fatty foods. Nutmeg also has proven beneficial in alleviating pain due to sciatica -- pain or tingling in the legs. In addition, nutmeg has also been used to treat ailments of the kidneys and lymphatic system. Many chai tea recipes also contain black pepper. Black pepper is beneficial for reducing the symptoms of a chronic common cold, especially in the winter months. Black pepper also promotes sweating, which can cool down your body and help breaks a fever. Pepper also arouses the taste buds, improves digestion and reduces gas. Are Pineapples Good for Digestion?